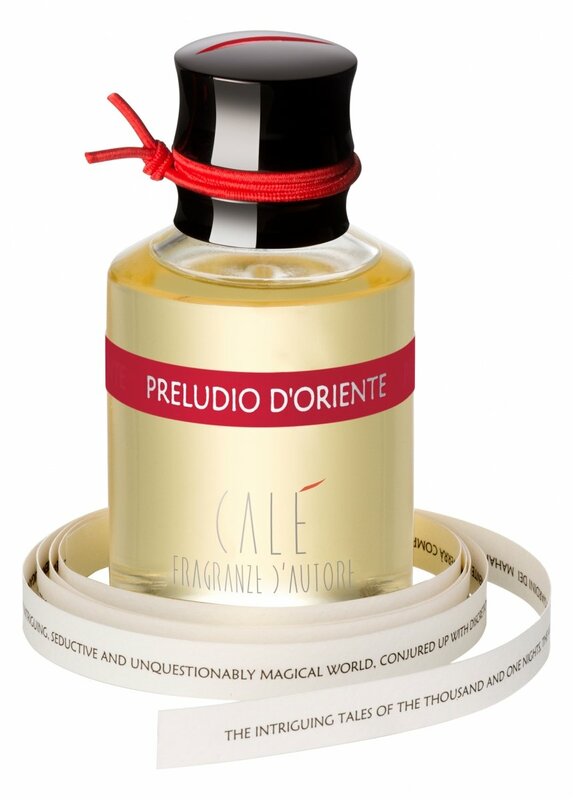 Preludio d'Oriente is a popular perfume by Calé Fragranze d'Autore for women and men and was released in 2008. The scent is smoky-woody. It is still in production. 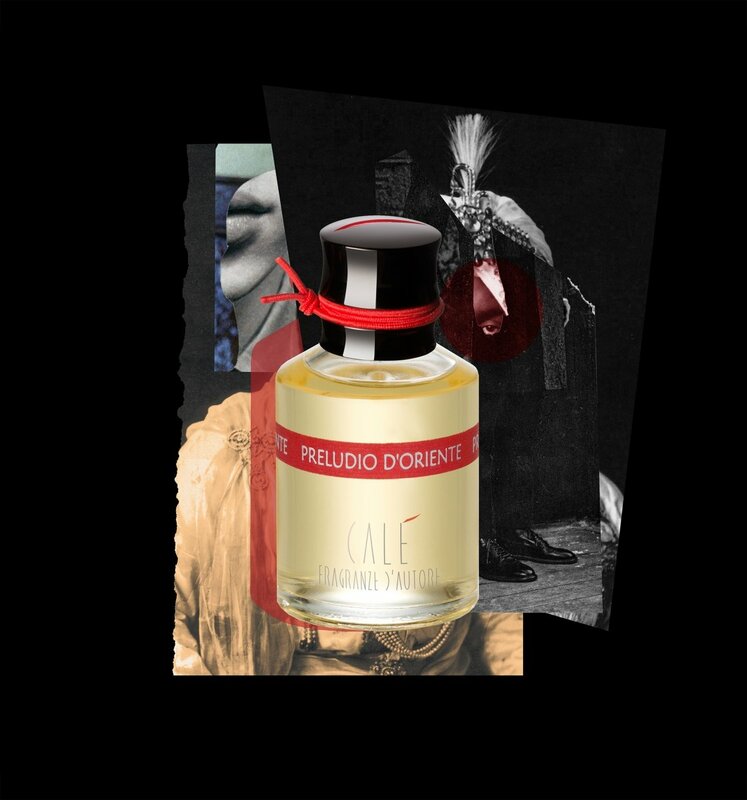 Preludio d'Oriente opens with just the faintest trace of bergamot, quickly combining with what starts out as a relatively subdued clove-like incense. The incense grows and grows throughout the heart of the scent, until it is quite strong, obscuring almost all of the supporting notes save a smooth leather accord that appears in the background until the dry-down. Once the base notes arrive, the incense aggressively recedes and a very nice patchouli and sandalwood tandem takes its place, with only the faintest hint of the incense remaining now as support. Projection is above average and longevity is average. I immediately loved Preludio d'Oriente. Its clove-like incense is just really sublime smelling, and is near reference caliber. The patchouli and sandalwood dry-down is somewhat unexpected after the incense taking center stage from the start, if just a tad unoriginal. Unoriginal the dry-down may be, but it definitely works here. I would say Preludio d'Oriente is right behind my reference incense, Incense Oud by Kilian, joining greats like CdG's Avignon as "must try" scents in the incense category. In some ways, it can be argued that Preludio d'Oriente is a more "complete" scent than either of those two greats. I'll not take up that debate, rather encouraging incense lovers to experience all three of them. In the case of Preludio d'Oriente, I give it an excellent 4 to 4.5 out of 5 stars. Preludio d'Oriente is an incense perfume. A very intimate smoky resinous concoction. This immediately reminds me of Avignon by Comme des Garcons and Bois d'Encens by Armani. The incense is deep, velvety and enveloping. This is a well crafted and high quality perfume. My only complaints are projection. Sillage may be high, who knows and who cares right? My chief concern is projection. If I'm wearing a perfume, its primarily for me to smell and if I'm wearing 30 sprays, as I am now!, I want to be able to constantly smell it. I do but why does it require 40 sprays to the chest/neck area to achieve this when it requires 15 to 20 for other perfumes? This explains why I call it intimate at the beginning of this article. Is what you smell worth owning and spraying 30 sprays to smell it constantly? Yes it is. I highly recommend this Preludio d'Oriente..
Write the first Review for Preludio d'Oriente!